Helloooooooooooooooooooo. Is Friday already !! and the first week of the New Year is gone that's it done and dusted. I am here with my last bundle from our current Sale a bration Promotion, and this is my fave set. I love it so much and I will redo the photos for this as they really aren't their best I hate this time of the year when you just do not get any decent daylight. 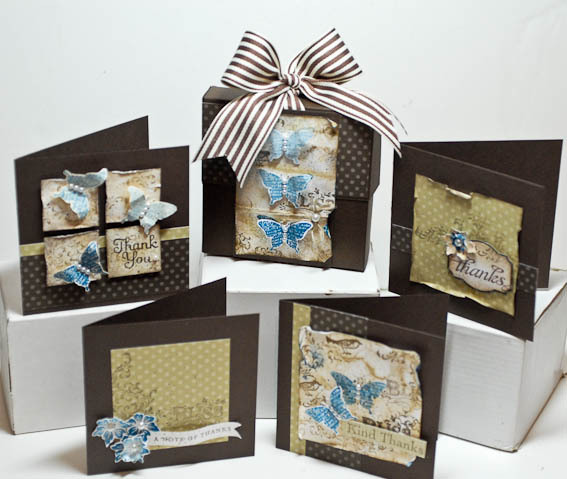 I simply love this set of thank you note cards I have designed using this set. We all need thank you cards all the time and this is such a sweet set to offer as a gift to someone. 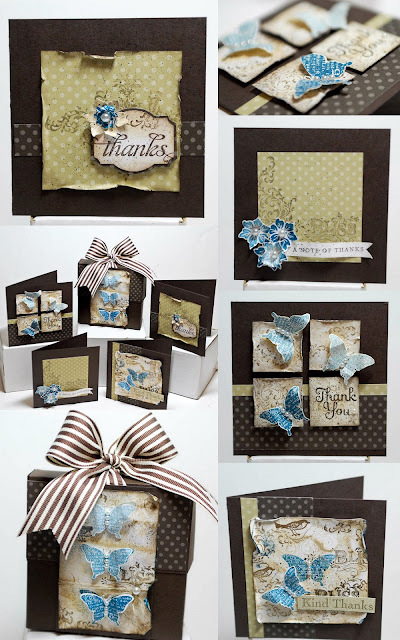 The Bliss Bundle has been designed around the Neutral designer paper Collection and the Distressing Kit and it features the FREE Bliss stamp set from the Sale a Bration. The cost of the bundle is £ 46.60 plus 3.50 postage and it includes. This paper stack is great it contains wonderful neutrals that will coordinate with absolutely everything, trust me you will fell in love with it. I love these gorgeous flat back self adhesive pearls, so easy to use and will add glamour to any project in a heart beat,just FAB !! This is the one tool that will help you turn everything Vintage , use it with any of our markers to add a fine or a bigger splatter effect to your projects. Bliss stamp set- Free with any £45 order this is a gorgeous vintage inspired set. It has 5 stamps in it and is available in wood or clear, please state your choice. You will also get typed and E-mailed Instructions for all the projects plus Videos that show all of the projects featured in the bundle. To re create the projects entirely you will need additional card stock and various punches. I do give suggestions in my videos on how you could achieve similar results without those, however if you would like to add any additional items to your order please let me know, orders over £60 receive FREE POSTAGE. Email Me to purchase the Bliss Bundle. Love your blog. Just found it through Split Coast. I'm a demo in Raleigh, NC and will be looking at your blog often. Thanks for the inspiration!